You can't be out on your bike all the time, life just doesn't allow for that......but you can experience cycling or learn more about cycling by having a cycling book close by. I always have a cycling magazine or book in the car, or on the floor by my bed, or leaning up against the wall in the toilet. This way, there is always a chance to get that cycling hit whenever I need one! 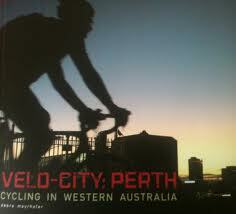 A friend recently bought me a copy of "Velo-City: Perth" by Debra Mayrhofer. This is a good read about the different cycling sub-cultures within the Perth cycling scene. From bike riding to bike building, to bike polo and local cycle fund raising events, the book highlights many different facets of cycling within Perth and Western Australia. Velo-City: Perth - a good read. It's a high quality book printed by Beyond Babel Press Australia. It can be purchased at a good price from good book stores or at http://www.velocitywa.com.au/ . It sounds as though this book will be the first installment as the author has invited the Perth cycling community to submit cycling articles to her at info@velocitywa.com.au for consideration in her next book. You can surf the net for local cycling stories all you like, but there is nothing quite like sitting down away from the computer with a good book and a cup of coffee. This book allows you to do that. The book would not have been possible a few years ago. Due to the increased interest in cycling and commuting to work on a bicycle, and with the expansion of Perth cycle ways, cycling has really taken off in Perth. Such a local interest deserved to be fed a quality cycling publication such as this....good work Deb. All that said, I'm a bit dissappointed with the book in that there was no reference made to the Western Australian Historical Cycle Club. Although small, the group is an important part of the Perth cycling culture that really needs to be captured in print. There are some lovely old faces of club members to be photographed, and some great cycling stories to be told before the members get too old. I'm sure they'll be represented in her next book in some form! By the way... a photograph of one of my newly chromed vintage chainwheels (Williams 1954) is on page 16 of the book, good lookin' chainwheel that...even if I do say so myself! Another good book is "Where to Ride - Perth" by Brent Meyer. It's a spin off from the Bicycling Australia group. It shows maps for local rides, not bad if you are new to Perth or maybe just getting started. It's fairly comprehensive with a bit of advertising, but if you're into cycling and live in the Perth area it's certainly worthy of a place on your book shelf. Where to Ride - Perth. The book can be purchased through the Bicycling Australia website http://www.bicyclingaustralia.com/ , and while we're talking about Bicycling Australia, they also have a really good bi-monthly magazine called just that, "Bicycling Australia". The mag covers all aspects of modern road and track cycling, National and World road and track events, reviews and assessments of new gear on the market, always good photographs, and always provides the reader with awareness of contemporary cycling issues. ﻿I get the magazine mailed to me every two months, it usually arrives in my letter box a couple of weeks before it arrives on the newsagent shelves. Having it mailed also has the added benefit of two things. Firstly an annual subscription is cheaper than buying it off the newsagent shelves, and secondly every year you receive a Bicycling Australia Buyer's Guide magazine for free. The guide provides a comprehensive buying guide for almost all new bikes available on the market in Australia - and includes specs and prices for road, mountain, track, and city/commuting bikes on the market....and much more. I must say that my favourite book at the moment is called "Greg LeMond's Complete Book of Bicycling". No prizes for guessing who the author is! Greg LeMond is an American cyclist who won the Tour de France in 1986. It's a retro styled book and the edition I have pictured below was published in 1988. Greg LeMond's book - 1988 edition. I got the book off eBay a couple of months ago, there's always a copy on offer for sale there and it should not cost any more than AU$10.00 (+ postage). 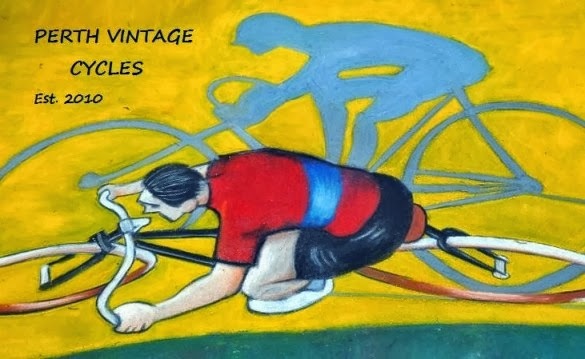 The book covers every aspect of road cycling from chosing your first bike to cycling techniques and tactics. It covers dieting, training, and general bicycle maintenance....and of course gives an account of Greg's cycling history and details how he won "The Tour" in 1986. There are a few black and white photographs throughout the book although you really have to use your imagination to get you through....no colour photos in this puppy! I do like the general bicycle maintenance section at the rear. In the mid 80's ten speed's (2 front - 5 rear) were at the cutting edge of bicycle technology. The book details how to maintain your ten speed gearing systems and provides a whole range of sound bicyle maintenance advice for equipment from that period. Please feel free to let me know of any other Perth specific cycling publications, I'd like to add a few more to my library.